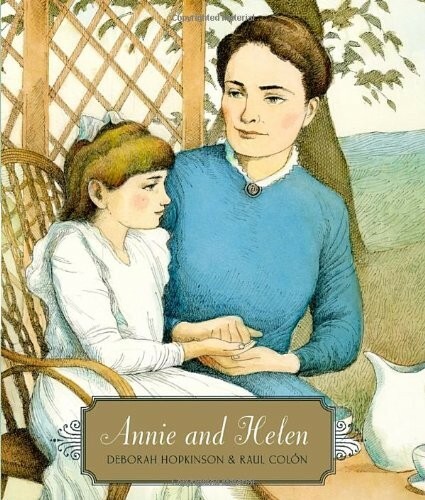 Author Deborah Hopkinson and illustrator Raul Colón present the story of Helen Keller in a fresh and original way that is perfect for young children. Focusing on the relationship between Helen and her teacher, Annie Sullivan, the book is interspersed with excerpts of Annie's letters home, written as she struggled with her angry, wild pupil. But slowly, with devotion and determination, Annie teaches Helen finger spelling and braille, letters, and sentences. As Helen comes to understand language and starts to communicate, she connects for the first time with her family and the world around her. The lyrical text and exquisite art will make this fascinating story a favorite with young readers. Children will also enjoy learning the Braille alphabet, which is embossed on the back cover of the jacket. 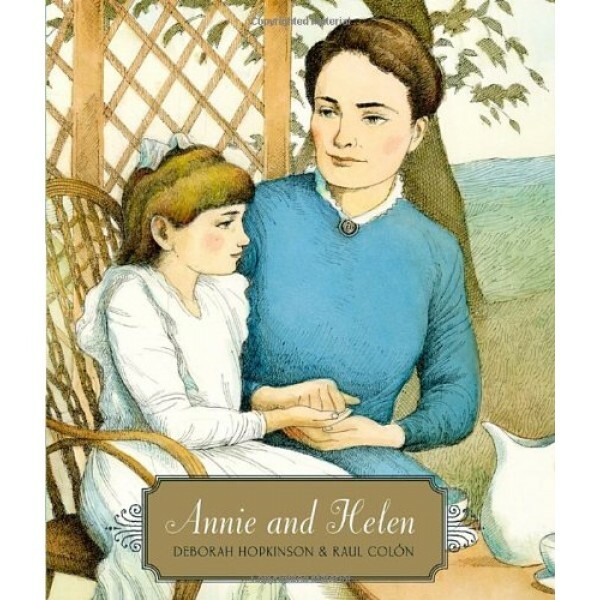 For more books and films about Helen Keller and her special relationship with her teacher, Anne Sullivan, visit our Helen Keller Collection.